Sigma Implants Ltd is the manufacturer and supplier of dental implants, prosthetic elements and tools for dental implantation. 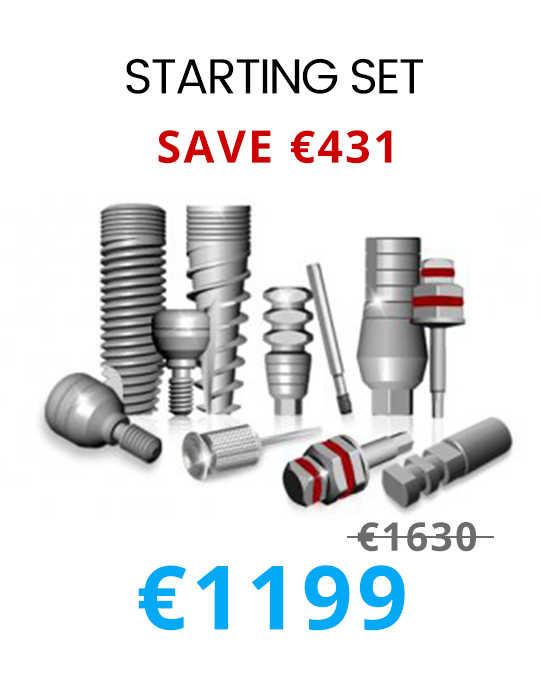 Based on years of experience and researches in implant dentistry, we developed Sigma Implants implantology system. Titanium Grade 5 is the material which used for the manufacturing of titanium dental implant Sigma. It is the ideal material for osseointegration process. All Sigma Implants have anodized surface. Numerous clinical tests confirm: long-term stability of the implant depends on its macromechanical properties and surface structure. Characterized by different thread types, large variety of length and width, Sigma titanium implants match all bone types. A variety of universal prosthetic elements solves all sorts of clinical situations, ensuring excellent aesthetics. Sigma dental implants products comply with the international quality standards, also being approved by the European authorities (CE certificate and ISO 13485:2003). Feel free to contact our consultants for more information about products, price or terms of our Online store. 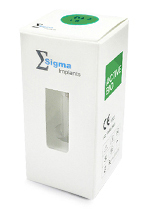 Our e-mail is sigma.implants@gmail.com, tel. +44 33 000 10 427, and also you can request a call back filling special form on our site, apply to the online chat on the website or write us through the contact form.